Opening hours: General opening hours are between 8:30 am - 12:30 pm and 4:00 pm - 7:30 pm. Visitors to this corner of the country will find that the Valle d’Aosta and Piedmont are quite distinct in character from the rest of Italy. 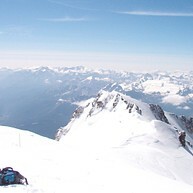 The long history of geo-political power struggles with their French neighbours and the mountainous alpine environment have created a unique identity amongst the inhabitants. French was the official language in Piedmont only a century ago, whilst in Aosta, it still remains the administrative and legal language to this day, despite the majority of people speaking Italian. Add to this Aosta’s autonomy from central government and it becomes clear why this area is seen as the most un-Italian part of Italy. This is perhaps most obvious in the gothic style castles that dot the landscape of these two regions. Dating back to the reign of the Royal House of Savoy, the imposing fortifications set amongst the majesty of the mountains, help lend a fairytale air to the surroundings which is far from the suave sophistication of the Italian Riviera and the grandiosity of Rome. Even if you’re not interested in throwing yourself down a mountain at high speed, be sure to get up close and personal with one of Europe’s highest mountains. Enjoy the exhilarating journey by cable car, admire the views, see the earth disappear amongst the clouds and breathe in that crisp mountain air. If you are in the mood for trying out an alternative winter sport, then join one of the many guided activities available such as heli-skiing, snowshoe walking or indoor climbing, just to mention few of them! 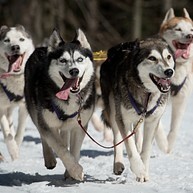 Professional guides and an eager team of husky dogs will cooperate to give you an unforgettable experience, so join the pack and head out into the wilderness on a guided sled dog tour! Fenestrelle is a small village with mammoth fortifications that were built to repel French attacks. From the village a series of 4,000 steps leads up to the 18th century fort of San Carlo. This amazing feat of engineering and human ingenuity is rumoured to be the largest stone fortification other than the Great Wall of China. This is definitely not a ride in the park... The owner has competed in some of the toughest mountain bike races and has cycled some of the most inaccessible trails on earth, so be prepared to live an unforgettable experience! Here, in fact, you can try off-piste cycling at its best. This is a beautiful military fortress in the Susa Valley which has witnessed sieges, defeats and victories over almost 900 years. Its structure is an excellent example of the Savoy and French fortification culture with its ramp, its Royal portal, cavalry courtyards and galleries. 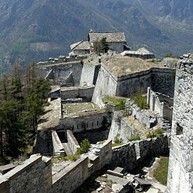 A legend says that the mysterious “Iron Mask” was incarcerated here. For passionate skiers there is a vast choice of excursions in the upper and lower Susa Valley, Pellice and Chisone Valleys, upper Sangone Valley, on piste and off the beaten track. People here say that the exhaustion after a hard climb is almost a mystical experience and descending is highly satisfying. 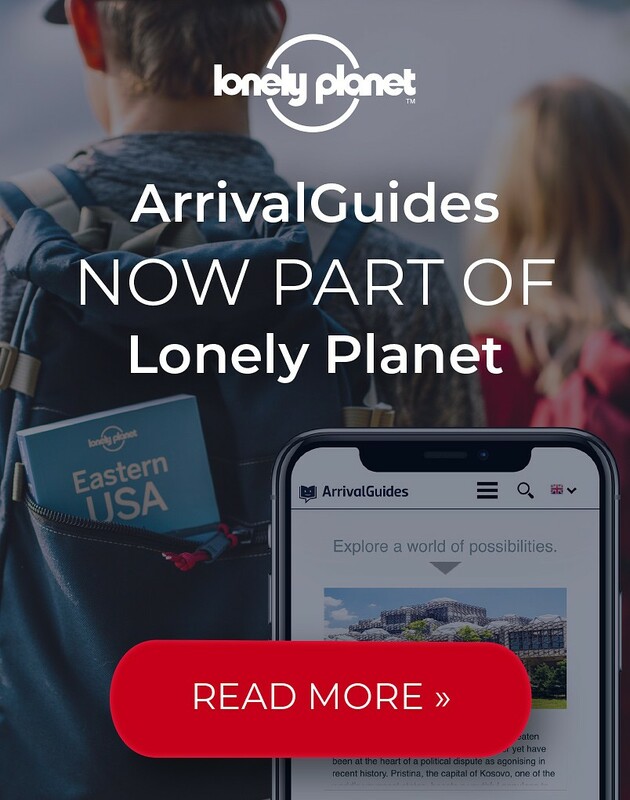 Guides can be booked. This is a very exciting activity in magnificent surroundings. 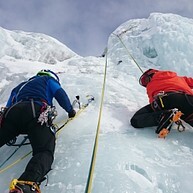 When temperatures fall below zero, you should try to climb the iced walls of the Troncea, Cenischia and the Argentera Valleys where Alpine guides are always available with advices and assistance! 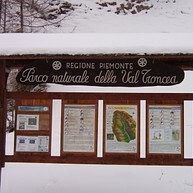 In this national park close to Sestriere, you´ll find an unbeatable cross-country skiing network. Pack your backpack with goodies and go for a tour along the well-marked trails and enjoy the stunning views. The area is also great for snowshoes or trekking! At Fun Park Dolonne kids can enjoy all kinds of fun activities in the snow: bob sleds, jumping carpets and short slopes are just a few of the fun things offered here! For the parents there is an area with comfortable seats to relax at while the children play safely. 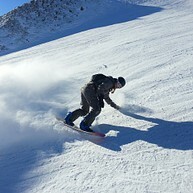 If you have never tried snowboarding but you feel like this is the right moment to do it, there are several schools in the area. In Sestriere, for example, YES Snowboard School is a very popular choice since they have passionate teachers who speak perfect English! With its spectacular nature and small cosy villages, this valley catch its visitors hearts. The water running through Valle Argentera, splits it into two almost perfect pieces and the surroundings are just made for trekking. While you are here, take the opportunity to buy some tasty cheese or meat from a farm gate! 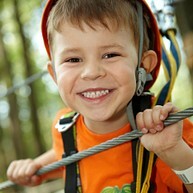 Parco Avventura Chaberton is an adventure park for both children and adults. Right in the pine forest, all visitors can try their climbing talents or raise the adrenaline on the swing or the slides. For the guests who want to stay on the ground instead, there is a mini golf course or sun beds, if the weather allows! 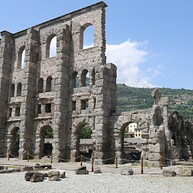 Watching ancient Roman ruins might not be the most common attraction on a ski holiday, but the Teatro Romano is well worth a visit. This former public theatre is well reserved and in the evenings is illuminated with mesmerizing, colourful lights!